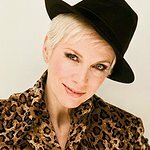 Annie Lennox has confirmed that she will give a one off, exclusive performance for charity next month. The singer, songwriter, campaigner and activist will make her one off performance at a charity event in Glasgow on 1st October to raise funds for Clyde 1 & Clyde 2 Cash for Kids, a charity set up in 1981 to support the most vulnerable children in the west of Scotland. Celebrated as an innovator, an icon and a symbol of enduring excellence, Annie’s music career is peerless with over 80 million record sales to date and winning countless awards, while her tireless charity work is widely praised receiving prestigious awards and honors. Throughout her incredible career, she has won an Oscar, a Golden Globe and eight BRIT Awards and was listed by Rolling Stone magazine as one of ‘The 100 Greatest Singers of All Time’. Lennox, a well-known humanitarian campaigner, has been involved with many organizations including her own The SING Campaign. She is a Global Ambassador for UNAids and Oxfam, Ambassador for The British Red Cross and Nelson Mandela’s 46664 Campaign alongside many others and is also Special Envoy for CPA Scotland Branch. Sir Tom Hunter, Trustee of the Clyde 1 & Clyde 2 Cash for Kids charity said: "It’s wonderful that Annie has agreed to perform. Having worked with her in Make Poverty History, she’s a wonderful mix of incredible musical talent and a tireless charity campaigner and we are truly honored she has agreed to support the work the charity does for vulnerable children in the west of Scotland." Lord McConnell, Chairman of the Board of Trustees of the Clyde 1 & Clyde 2 Cash for Kids charity said: "The Cash for Kids Ball is always a great event, but this year the performance by Annie Lennox will be something very special. “Throughout the past year Clyde 1 and Clyde 2 Cash for Kids distributed over 24,000 family grants and 520 community support grants, directly supporting 124,000 vulnerable children in the west of Scotland. The need for this kind of support is increasing so we need the continued support of our donors and to encourage new donors to give a little to help Clyde 1 and Clyde 2 Cash for Kids make a big difference. children in the west of Scotland either through community grants or family grants. and will be sponsored by fashion retailer Cruise, which is celebrating its 30th year of trading. This event, which will launch the 2011 campaign, is a major contributor to the charity’s fundraising campaign which last year raised just under £1.4m. Tali Lennox, Ant & Dec, Robert Carlyle, Paolo Nutini, Sharleen Spiteri, Lorraine Kelly and Michelle Mone with all proceeds going to the charity.